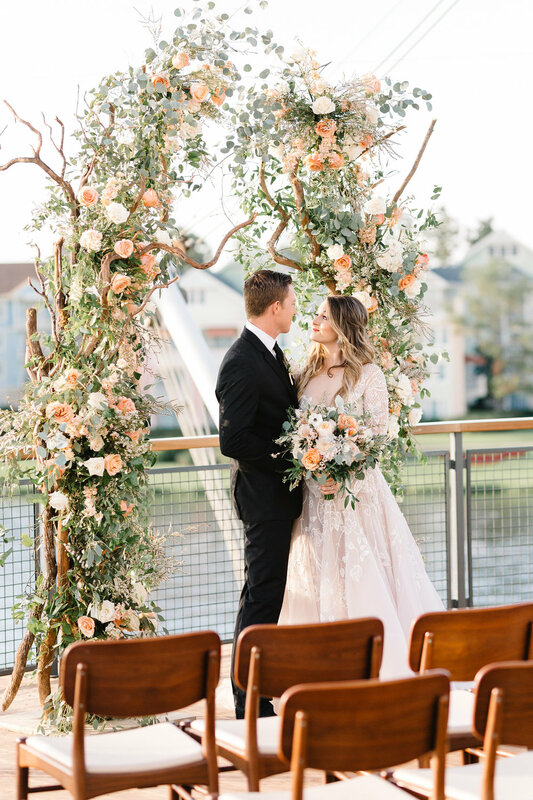 It was such a magical evening at Paddlefish Restaurant in the heart of Disney Springs for this styled shoot. 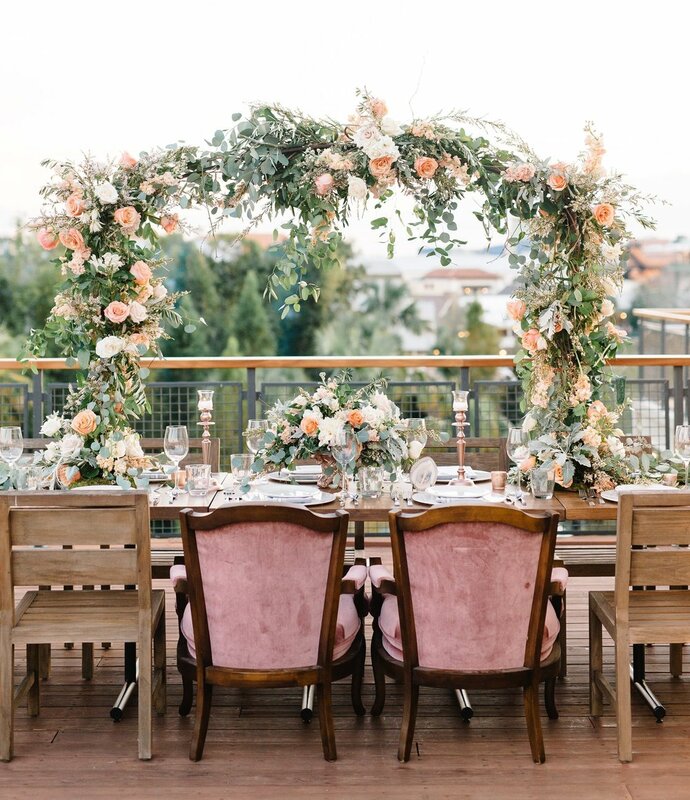 The sunset view form the rooftop deck overlooking the lake is unbeatable, making this the perfect location for an intimate + romantic wedding! We had so much fun creating this and every moment had us all swooning. 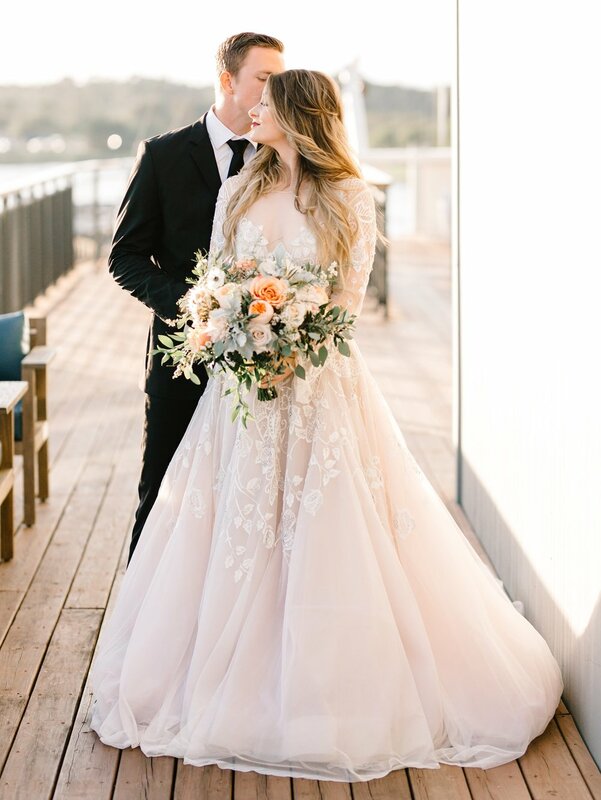 The blush, peach, ivory and dusty gray tones of this shoot were so dreamy, especially the blush Hayley Paige gown the bride wore from Calvet Couture Bridal. Not to mention, our gorgeous real life couple, Erin & Jesse, could not have been any more adorable! 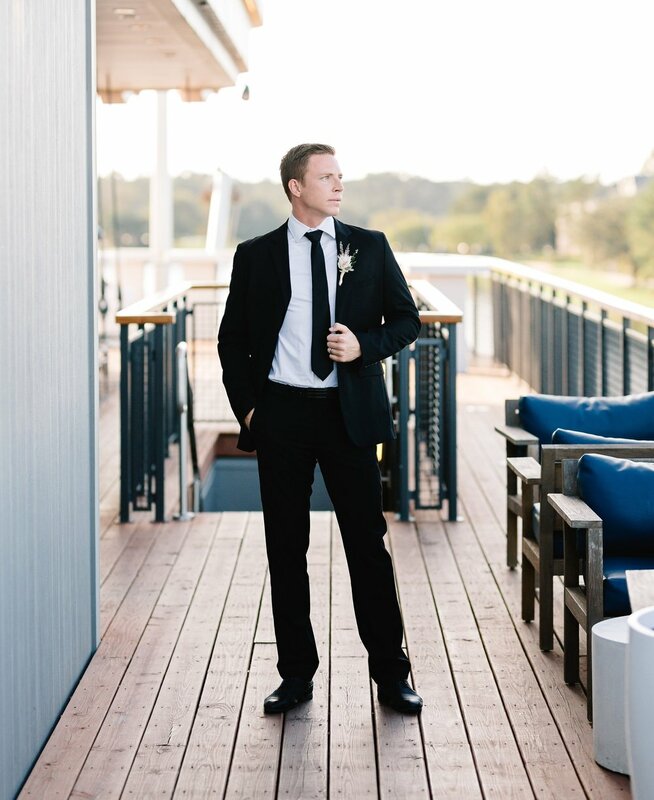 Both the indoor + outdoor spaces at Paddlefish have a clean, modern vibe, which is the exact backdrop we were looking for! Beautiful floral arrangements by Raining Roses Productions and styling elements from The Runway Collection tied everything together for the magic to happen. Check out the photos by JP Pratt Photography and view the full list of vendors involved below.